Revised & Improved! With more ideas, more detail, more examples, more inspiration and more exercises to get you started and keep you going! Paul Lima was a busy technology freelance writer, earning a six-figure income, during the dot-com boom. When it went bust, so did many of his Information Technology corporate clients. Paul developed new business and marketing plans and within 18 months he was as busy as he was during the height of the dot-com boom. Today, he is now performing a greater variety of tasks for more clients than ever before! To help freelancer writers create a personal road map to business success, Paul created a workshop based on his experiences. He has now turned his popular workshop into Six-Figure Freelancer. "Your expert plan, as outlined in your book, has demystified the marketing and other business aspects of writing for me. I find your instructions to be straight forward, informative, and valuable." - Bonnie Zink, Corporate Writer, Researcher, and Editor. Focusing on writing for corporate markets (including businesses, associations, government agencies, non-profits and other organizations), Six Figure Freelancer demonstrates how to plan and market your way to freelance writing success. Chapter 21: How Much to Charge? If you want to find, price and manage corporate writing assignments, then this is is the place to start! Read about Everything You Wanted To Know About Freelance Writing, which combines Six-Figure Freelancer and Business of Freelance Writing: How to Develop Article Ideas and Sell them to Newspapers and Magazines. 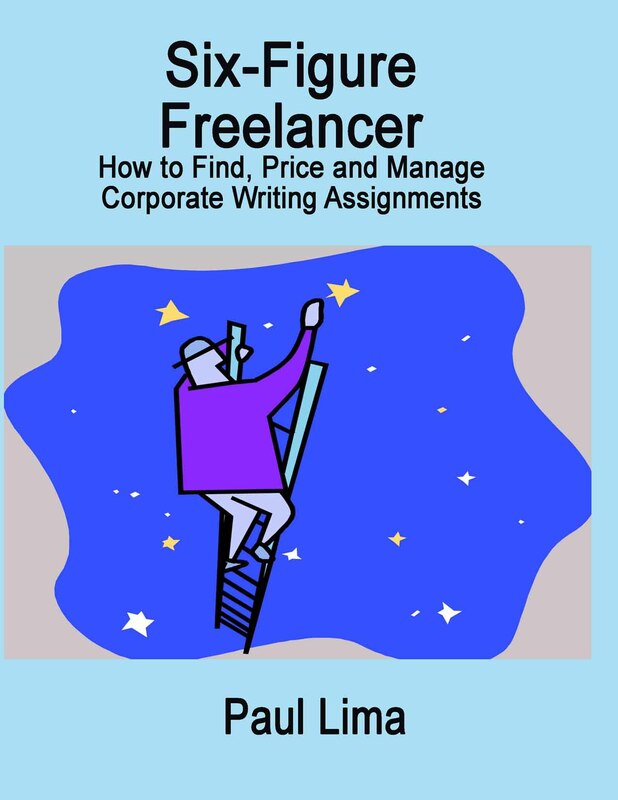 I purchased your book, the Six-Figure Freelancer, from Lulu and want to thank you for providing some much-needed perspective and clarity into the business of corporate freelancing. Your book couldn't have surfaced at a more beneficial time as I've been fussing over my business plan for weeks and the information you've provided got me over my hurdles very quickly. Doing the Vision, Clustering, and Sector exercises before reading on was extremely beneficial. It seemed to shake something loose and gave me the insight I needed to carry on. I just finished reading 'Six Figure Freelancer'. I found it a great tool to help me start up as a freelance writer. Personally, I didn't know anything about freelance writing; now, I have an specific path to follow to achieve success. The recommendations, suggestions, tips and experiences that Paul shares are extremely helpful. Providing great insight, 'Six Figure Freelancer' keeps the reader turning page after page. All I wanted and needed to know is here, thanks!